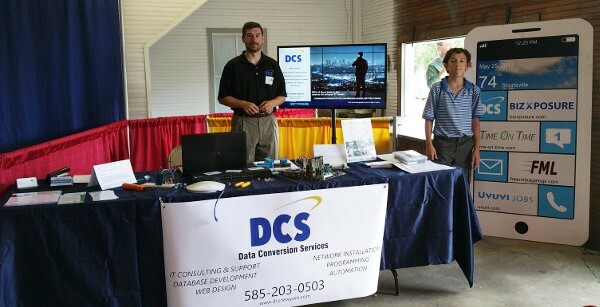 DCS of New York Inc. and many other local businesses were at the first ever career carnival at the Wayne County Fairgrounds. Local school districts from all over the county bused in students to attend a day filled with career exploration. About 40 vendors from all different industries had booths and activities for the sstudents. DCS focused on what careers the students could find information technology. There were hands-on activities and DCS had a contest with an Arduino kit as the prize. The student who came up with the best solutions to five scenarios they might encounter in the IT industry, was awarded the prize. 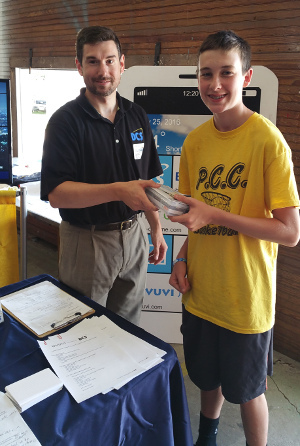 There were some really good responses and the winner was Ashton Rouland from Pal-Mac Schools. Ashton was also there with his mother, who works for one of the Vendors in attendance. Many people worked together to make the event a success. Assemblyman Bob Oaks, Don DiCastro, Jay Roscup and many others played a part to help the Career Carnival come together. The hope is that this type of event can be held across New York State to give other students a chance at Career Exploration.